The Kennedy Glasgow House is a beautiful refurbished building, nestled on the banks of the River Moy at the scenic environs of Ballina Quay – which is now a Discovery Point along the Wild Atlantic Way. 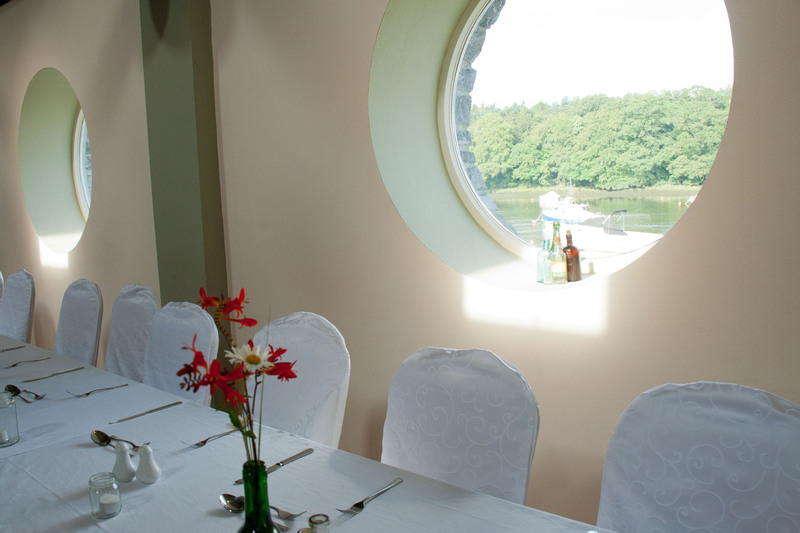 A large, well-lit hall, this function room is suitable for hosting conferences, training courses, weddings, parties, dances and many other functions.The room boasts wonderful views over the river and Belleek Woods, with the fabled Creteboom concrete ship marooned just down the river and is a lovely alternative venue hire destination in Ballina. The room, which features porthole windows and lovingly restored wooden beams, will comfortably seat up to 180 people for a conference or meeting, while over 100 guests can be seated for an intimate wedding, tea-dance or other function, while still leaving generous space for dancing. This small, bright warm room is suitable for small groups or for holding art or craft classes. It will hold 8 people comfortably for a class. The facility boasts an overhead projector for displaying onto the large screen and a PA system with cordless microphone. There is also a kitchen in the Centre for making refreshments in and ample toilet facilities. The building is entirely wheelchair accessible. 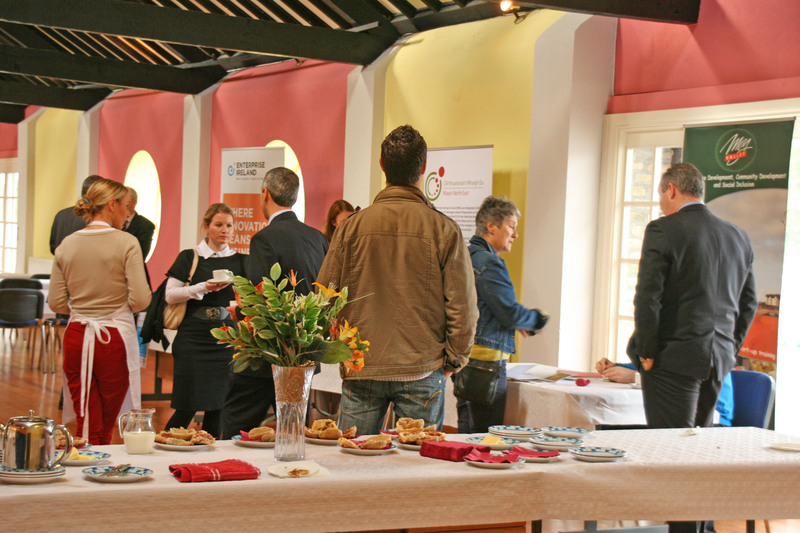 The rooms can be booked for periods of one hour up to full-day or week-long/weekend events. Rates start at €20.00 per hour. Contact info@moyvalley.ie for more information, or call reception at +353 96 70905. The Kennedy Glasgow House can comfortably cater for up to 180 wedding guests.